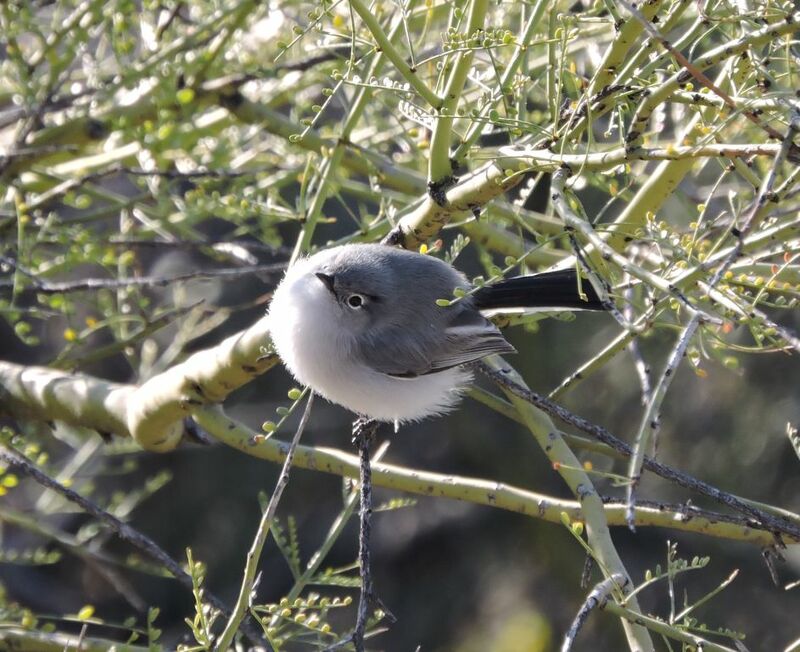 Your Daily Dose of Sabino Canyon: Gmark catches Gnatcatchers! 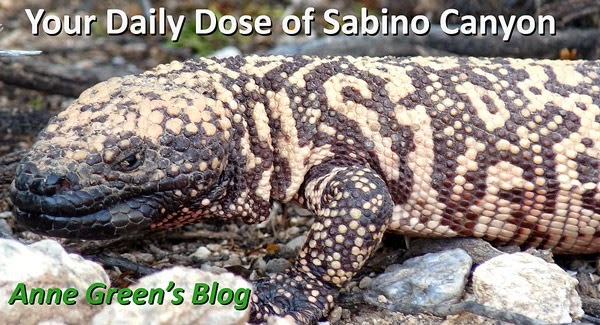 Photos and text by (very welcome) Guest Blogger Mark Hengesbaugh. 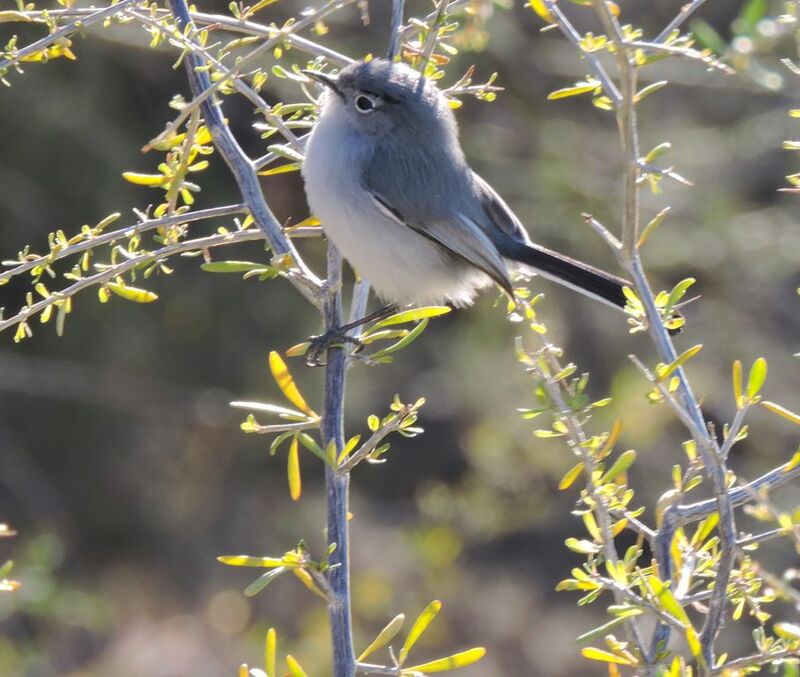 Feisty, hyperkinetic and only a size or two larger than a hummingbird, the Black-tailed Gnatcatcher is often the first to expose and harass predators who dare visit their neighborhood. An alarmed gnatcatcher will hop from branch to branch above an intruder while making an insistent buzzy call, bringing on an interspecies avian mob to drive off whipsnakes, roadrunners or hawks. 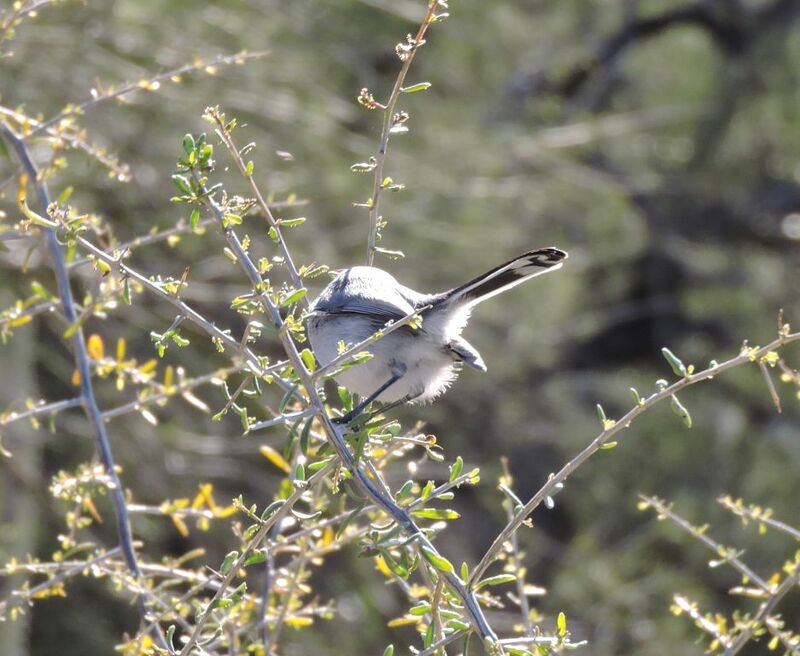 Black-tailed Gnatcatchers are common in Sabino Canyon year-round, but live only on the southern edge of the southwest in the U.S. The other gnatcatcher species we see in Sabino is the summer migrant Blue-gray Gnatcatcher. The two can be difficult to distinguish, but look under that tail that’s switching back and forth like a windshield wiper and you’ll see the Black-tailed’s tail is mostly black underneath, while the Blue-gray's is mostly white. Not gnat specialists, these little insectivores forage for a range of small bugs and can nab flying insects on the wing. Black-tailed Gnatcatchers are paired up all year and defend permanent territories—with a little help from their friends.